My son is 2 and a half and has been getting more and more interested in making crafts with me. 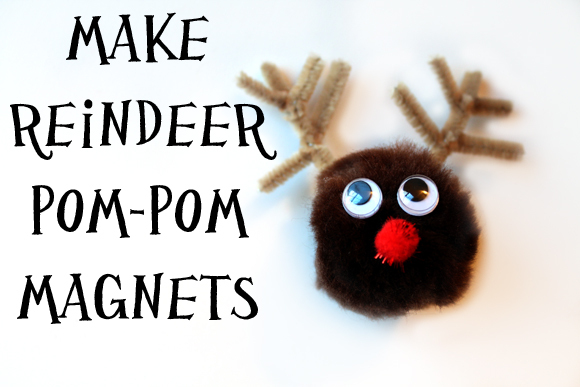 In a search for kid friendly crafts (which I admittedly have very little experience with), we have been experimenting with pom-poms. They are soft and kid friendly. 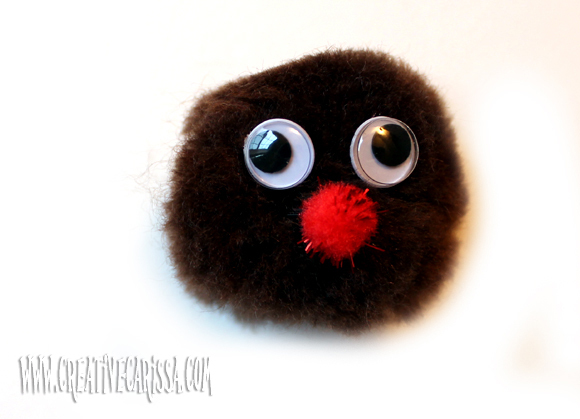 And my son has a lot of fun fluffing up his "puffy balls" as he calls them before we start crafting. This particular guy is stuck to a magnet from the dollar store (you can get a package of 8 magnets that look like buttons in the school supplies section of Dollar Tree). 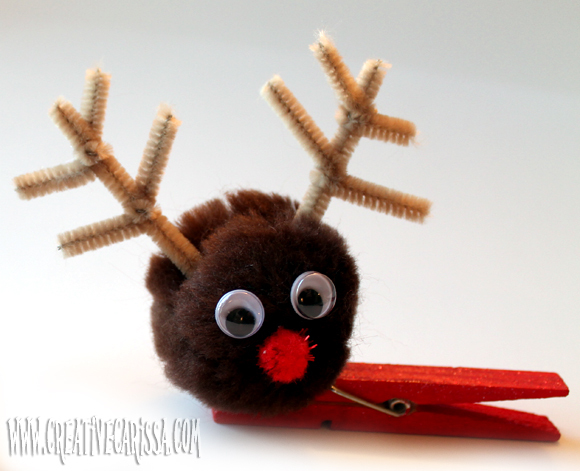 They also make fun tree ornaments if you stick them to a painted clothespin instead of the magnet. Just clip it onto the end of a branch! **When I make these by myself, I use hot glue for the whole thing. 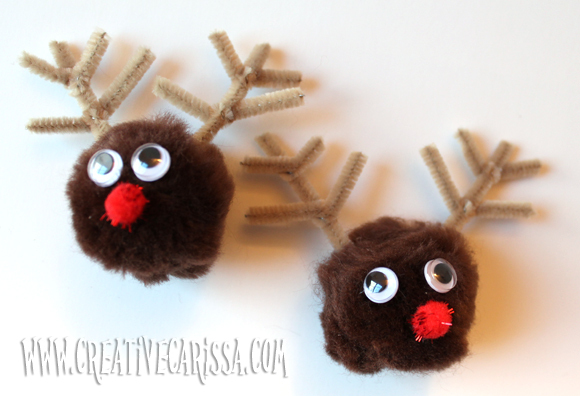 If crafting with kiddos, you can use white glue to attach eyes, nose and antlers - although this method will require drying time before it will be ready to attach to a magnet or clothespin with hot glue. If you do this, be generous with the glue because the large pom-pom with absorb a lot. 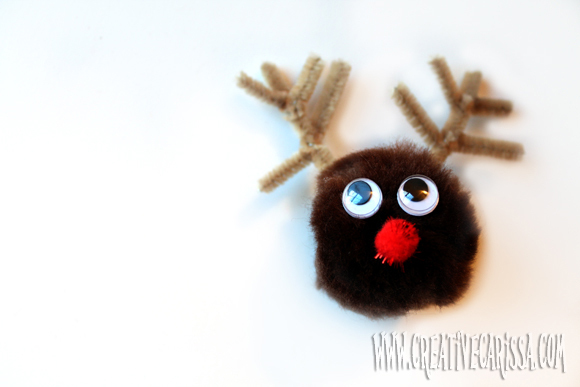 Attach googly eyes and sparkle pom to large pom-pom using your preferred gluing method. If using white glue, be generous in your application and allow to dry overnight after attaching antlers. 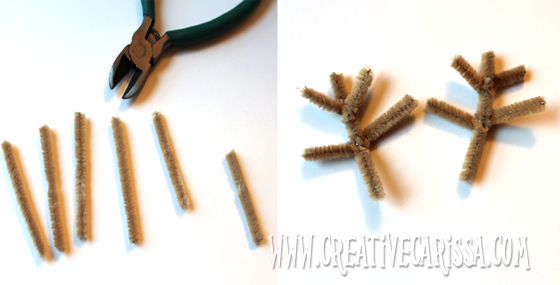 Cut the chenile stem into 6 lengths (each approximately 2" long) using the wire cutters. If you end up with slightly shorter lengths at the end, use these for the top rack of antlers. Make two sets of antlers as show by twisting 2 sections around a length of stem. 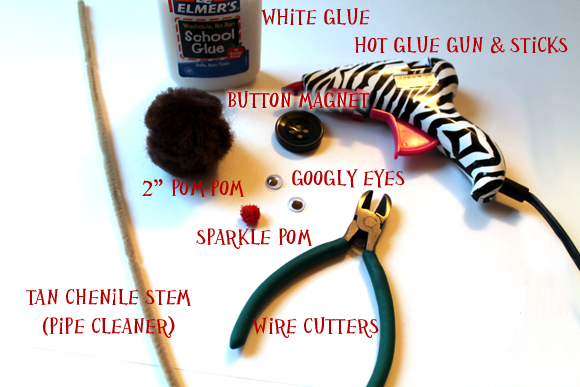 Attach to large pom-pom using preferred glue method. 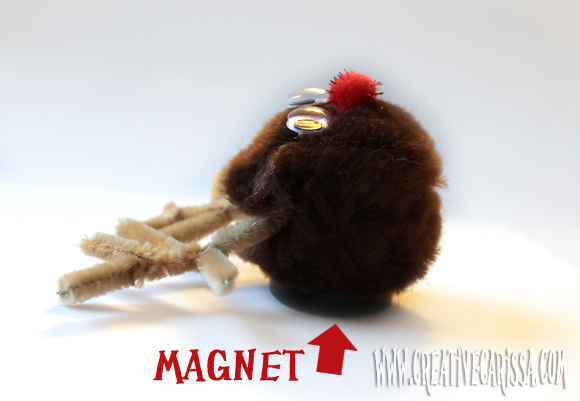 Regardless of your face/antler attachment method, you'll want to use hot glue to attach the magnet to the back of the reindeer. 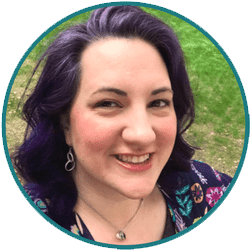 I prefer the dollar store magnets over the small kind you get at the craft store because not only are they less expensive (8 for $1), but they are a more substantial size. Look for them in the school supply section.